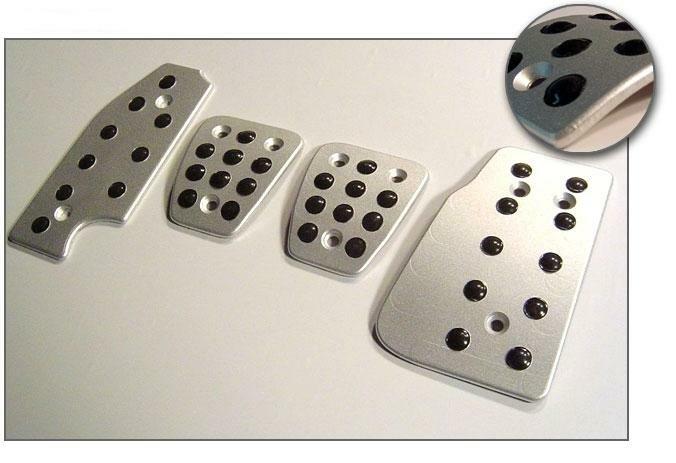 Enhance the interior appearance of your Volvo S40 and V50 by installing a set of sleek Aluminum Pedal Covers. 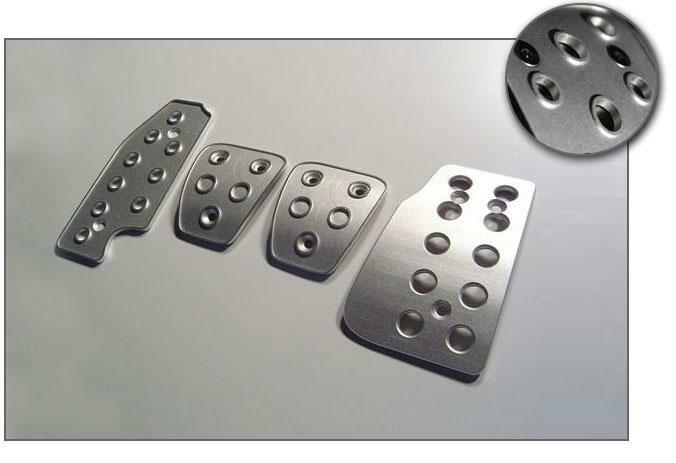 ViVA Performance is excited to offer custom Aluminum Pedal Covers for your Volvo S40 and V50 with automatic and manual transmissions. These covers are made of Aerospace Grade 6061 aluminum with a variety of surface finish styles available. The pedal covers simply bolt onto your cars current plastic pedals. The pedal covers are available for both manual and automatic vehicles. Each kit includes enough covers for gas pedal, brake pedal, clutch pedal, and dead pedal.